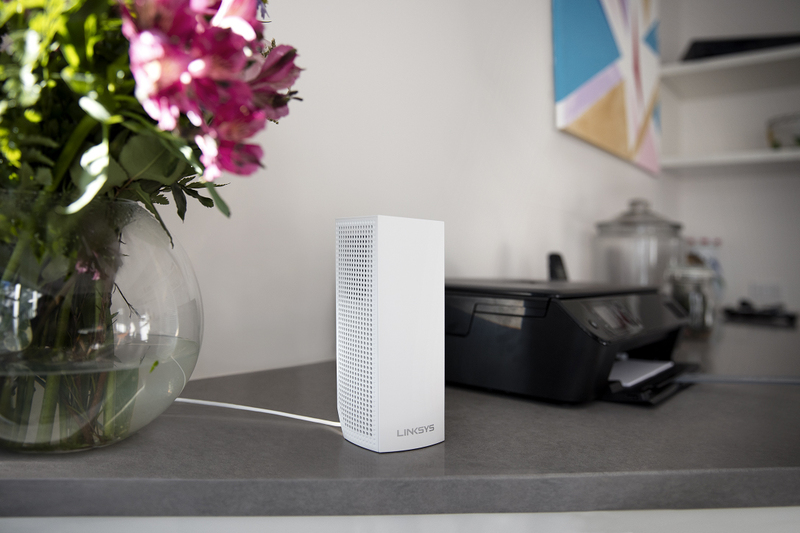 Linksys®, the home router pioneer and first to sell 100 million routers globally, today announced the introduction of Velop™, its premier Whole Home Wi-Fi product. 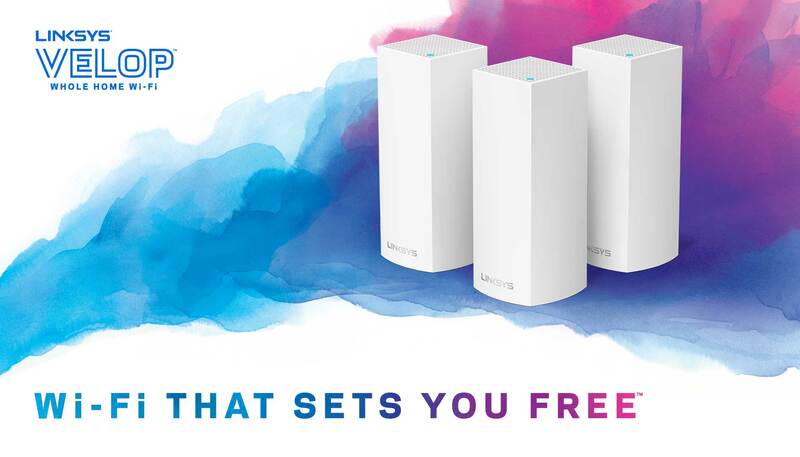 Velop is the first Tri-Band modular Wi-Fi system that can be installed in various mesh configurations providing fast and reliable Wi-Fi to the edge of a home network. Velop is designed for performance as well as elegance; it’s small enough to be placed anywhere with a clean and attractive look that appeals to everyone. Each Velop “node” is a powerful Tri-Band AC2200 device that serves as router, range extender, access point, and bridge which provides users the future proof technology they need as they bring new and more devices into the home. Each node is configured during setup by the accompanying Linksys app (available for iOS and Android), which provides the industry’s simplest and most intuitive setup leveraging Bluetooth to securely communicate between the mobile device and each node. After setup is complete, the Linksys app serves as a powerful Wi-Fi management tool with useful features, such as guest access, parental controls, device prioritization, and more. Velop helps users get the most out of their broadband subscription by delivering 100% of their Internet speed to the edge of their network. Velop is available in 3-pack, 2-pack and 1-pack options. 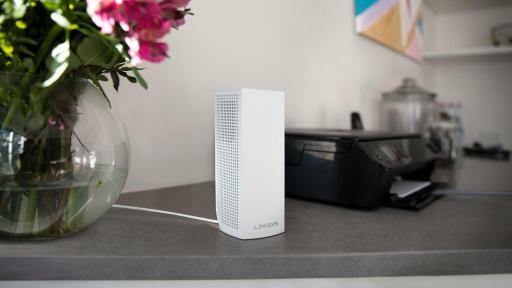 Linksys is launching Velop globally with retail, ecommerce, and service provider partners, including Best Buy, Amazon, Curry’s, PC World, and PCCW. Linksys is the first to combine the technical benefits of three Wi-Fi radios with true mesh capabilities to provide 100% of broadband Internet speeds to the edge of the network. With traditional router and range extender combinations or dual-band modular mesh systems, the Wi-Fi speed is cut in half with each “hop” from one access point to the next. At Linksys we call this the “bottlenecking effect.” This results in users receiving only a fraction of their broadband Internet speed at the edge of the network. “If you are paying for 100 Mbps from your Internet service provider, then you want to get all that speed in every corner of your house,” said Justin Doucette, senior director of product management at Linksys. Velop uses the three radios dynamically to determine the optimal path from the modem and “parent” node to each “child” node to ensure the fastest speeds to all client devices, regardless of which node they are connected to. Dynamic channel scanning algorithms evaluate the unique conditions of the wireless environment to select the best band (either 2.4 GHz or one of the two 5 GHz radios on-board) as well as the channels within each of the bands to improve performance between nodes and client devices. Other Tri-Band modular systems cannot operate in multiple mesh configurations without introducing the bottlenecking effect due to their static “back haul,” where a single radio is defined for inter-node communication, limiting their mesh capabilities. Velop can operate in a number of different mesh topologies and leverage all three radios for inter-node and client communication. Velop can also use an Ethernet connection for inter-node communication to allow all three radios to communicate with clients and help Wi-Fi reach distant locations, such as the basement or the garage. The union of dynamic Tri-Band technology and true mesh configuration makes Velop the only modular Whole Home Wi-Fi system to provide 100% speed at the edge of the network. The award winning Linksys product experience team collaborated with the hardware development team to create a beautiful and powerful product. Velop, a 2017 CES Innovation Award Honoree, and one of the eleven finalists for the 2017 CES Last Gadget Standing, is a combination of multiple nodes, each exactly the same for simplicity and flexibility. Each node is a small tower standing just seven inches in height. The footprint of each node is 88% smaller than the average router and the soft white color palette creates an attractive device that people will be happy to place on book shelves or countertops to help improve Wi-Fi performance. The vertical orientation also has performance benefits: the six antennas are placed at the top and middle of the unit, some pushing signal up and down and others pushing signal left and right. 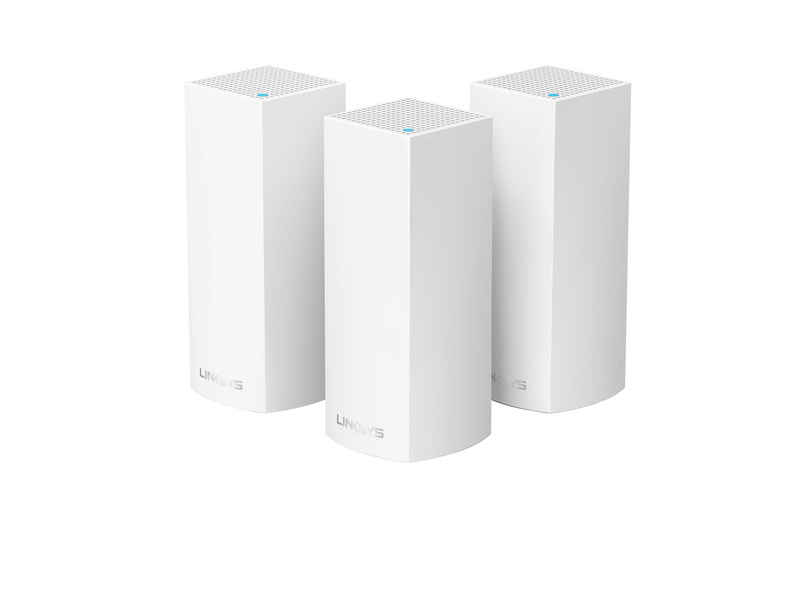 This improves Velop Wi-Fi performance in both single story and multi-story homes. To eliminate cable clutter, the base of the design features a cavity where power and Ethernet ports are hidden and a small notch with rubber tabs to organize cables in a clean and tidy manner. The result is an elegant and home-friendly device that can live in any environment or décor. The Linksys app (formally known as the Linksys Smart Wi-Fi app) is completely redesigned and includes an innovative app-led setup process for Velop. The entire setup flow happens within the app and uses Bluetooth to securely communicate between the mobile device and the nodes. This resolves a critical issue in the installation of a new Wi-Fi network: when the user customizes the network name to their liking the app maintains a connection to Velop and does not force the user to exit the app and change Wi-Fi settings on the mobile device. The app presents animated visuals and thoughtful troubleshooting instructions to guide even the most novice Wi-Fi user through the uninstallation of current networking hardware and effortless installation of the parent node, which connects to the ISP modem or gateway, then subsequent child nodes, to create a seamless and reliable Wi-Fi network. After a successful setup, users will be automatically directed to the main dashboard of the Linksys app where they can confirm connection to the Internet and see how many devices are currently connected to Velop. The dashboard also provides quick access to their Wi-Fi name and password, guest access, parental controls, and device prioritization. The user can quickly email or text their guest network name and password to a friend, block the Xbox during homework time, or prioritize the Smart TV for movie night. The Linksys app is the single iOS and Android app for all Linksys app-enabled products including Max-Stream™ and Velop. The app is smart and versatile; it knows which Linksys hardware is present and provides access to the unique software features of that device. Linksys is also announcing that Velop works with Amazon Alexa for a voice-activated experience. Three new skills will be available at launch including turning guest access on and off, obtaining the guest Wi-Fi name and password, and getting the main network credentials, which are commonly forgotten. Velop Hardware – Velop uses a highly integrated System on a Chip from Qualcomm, the first of its kind that incorporates a 716 MHz quad-core ARM Cortex-A7 processor, three Wi-Fi radios (one 2.4 GHz and two 5.0 GHz) and two auto sensing LAN/WAN Gigabit ports. This is complemented by 4GB of flash memory, 512MB DDR3 memory and a Bluetooth 4.0/LE radio. Velop contains six antennas and high power amplifiers. Dynamic Tri-Band – Each Velop node is a Tri-Band AC 2x2 802.11ac Wave 2 with MU-MIMO radio configuration with combined speed up to 2200 Mbps*. This technical design provides faster speeds at the edge of the network by using algorithms to achieve optimal path calculations. This eliminates the bottlenecking effort that is present with traditional router and range extender combinations as well as dual-band modular Wi-Fi systems. Dynamic Channel Selection – Velop will dynamically scan the available channels and select the best combination of bands and channels to optimize performance at the time of setup or whenever the user chooses. The Linksys app has a channel finder feature with will automatically find the best channels on demand and resolve congestion and interference issues that can created by competing Wi-Fi signals. App-Led Setup – The new Linksys app (formally known as the Linksys Smart Wi-Fi app) automatically identifies the nodes to be setup using Bluetooth and creates a secure connection between the mobile device and each node. 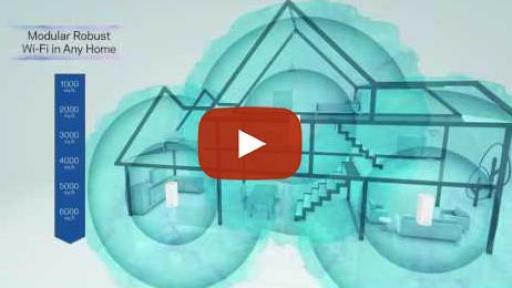 The app guides users through the installation process using visual animations where needed to clearly explain each step, including the uninstallation of current networking hardware. Patented-Pending Spot Finder Technology – The placement of each node is critical to have a reliable connection. During setup, Velop will recommend the best placement to reduce latency, maximize throughput and improve range and signal strength. Velop works with Amazon Alexa – Velop launches with custom Amazon Alexa “skills” that can turn guest network on/off and request credentials of both the main and guest networks; these are read back to the user by Alexa. Seamless Wi-Fi Experience – Velop supports one network name & password, one admin login, one interface for management and monitoring; and one guest network for the whole home. As a result, mobile devices, such as iPhones and laptops, will roam seamlessly and reliably from node-to-node without interruption. Automatic Updates – Velop is connected to a cloud service that will automatically monitor the status of firmware and update accordingly for security and performance. The combination of firmware and app updates will continue to unlock new features and improve performance over time. Some Whole Home Wi-Fi systems require manual firmware updates making them vulnerable to security infringements. Users have the option to turn automatic update off. Futureproofing – Velop hardware being a Tri-Band MU-MIMO router will be relevant technology for years to come and has features that will continue to delight users as it becomes enabled with new applications and services, all without any actions required by the customer. Linksys pioneered the home router market in 1999 and is a global leader in consumer and commercial networking. The Linksys experience in board layout, industrial design, antenna technology, tooling, manufacturing, firmware and software development, user experience, and customer service sets Linksys apart from the competition. Customers will readily see the value of higher performing hardware, elegant design, 3-year warranty and unmatched ease-of-use. Velop is the premier Whole Home Wi-Fi modular mesh Wi-Fi system. 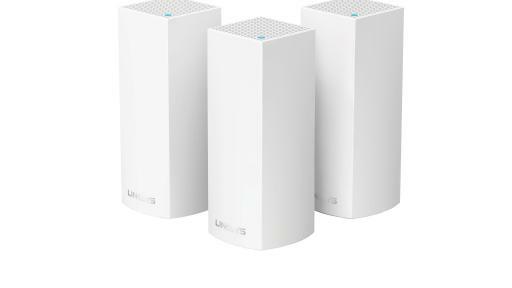 The Linksys Velop Whole Home Wi-Fi is available for pre-order today at Amazon, Best Buy.com, and Linksys.com. Availability for purchase will begin Jan. 15, 2017 at Amazon, Best Buy, B&H, Fry’s, Newegg, Microcenter, Staples and Linksys.com. Velop comes with a 3-year warranty and 24/7 consumer support for added peace of mind. The Linksys brand has pioneered wireless connectivity since its inception in 1988 with its leading innovation and engineering strategies, and best-in-class technology, design and customer service. 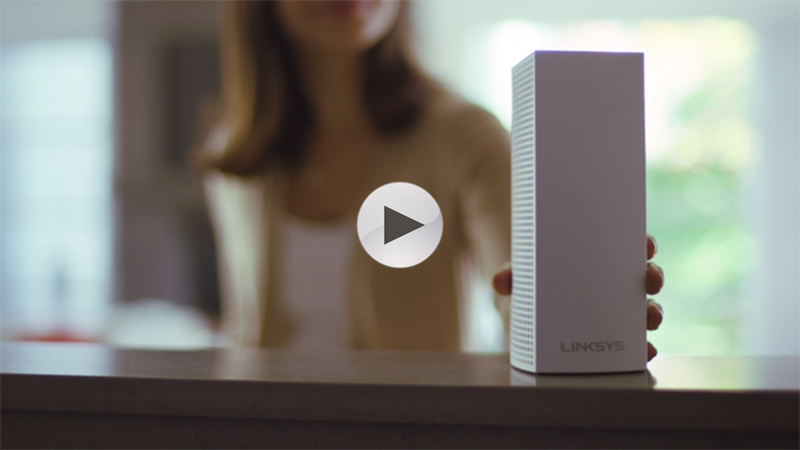 Linksys enables a connected lifestyle for people at home, at work and on the move, and with its award-winning products, simplifies home control, entertainment, security and Internet access through innovative features and a growing application and partner ecosystem. For more information, visit linksys.com, like us on Facebook, follow us on Twitter or watch us on YouTube. * Based on the maximum speed that data (Phy rate) can move across a wireless link while alternating between the two 5GHz radios in each node. Each node has three Wi-Fi radios – one 2.4 GHz Wi-Fi radio and two 5 GHz Wi-Fi radios. Nodes will alternate between the two 5 GHz radios for each separate connection, providing 100% seamless Wi-Fi to your network. Specifications are subject to change without notice. An active, customer purchased Internet Service Provider broadband account is required for connection of this product and other connected devices to the Internet. Some devices may require additional wireless adapters or an Ethernet cable to connect. Maximum Performance derived from IEEE Standard 802.11 specifications. Actual performance may vary, including lower wireless network capacity, data throughput rate, speed, range and coverage. Performance depends upon many factors, conditions and variables, including building materials and construction, volume of network traffic, mix of wireless products used, interference and other adverse conditions. In order to achieve the best performance, this product must be used with compatible AC2200 wireless devices. The standard transmission rates for each node—867 Mbps (for each 5 GHz radio), 400 Mbps (for 2.4 GHz)—are the physical data rates. Actual data throughput will be lower and may depend on the mix of wireless products used and external factors. May require a software/firmware update available for download at linksys.com/support. 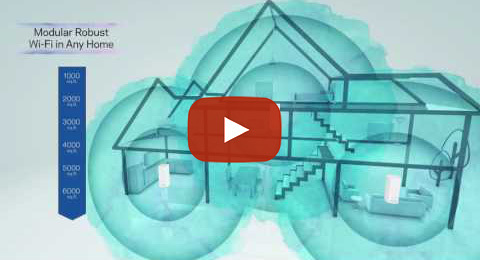 Each node in the wireless system provides a range of up to 2,000 square feet. Range can vary with the number and placement of nodes in the system. Range specifications are based on performance test results under normal use case conditions. Actual ranges will vary depending on wireless obstructions, operating environments and building material. Wireless coverage claims are used only as reference and are not guaranteed, as each wireless network is unique. © 2017 Belkin International, Inc. and/or its affiliates. All rights reserved. Belkin, Linksys, Velop and many product names and logos are trademarks of the Belkin group of companies. Third-party trademarks mentioned are the property of their respective owners. Apple and the Apple logo are trademarks of Apple Inc., registered in the U.S. and other countries. App Store is a service mark of Apple Inc. Android and Google Play are trademarks of Google Inc. Bluetooth® is a registered trademark owned by Bluetooth SIG Inc. and its use by Belkin is under license. Wi-Fi and Wi-Fi Protected Setup are either trademarks or registered trademarks of the Wi-Fi Alliance. The Wi-Fi CERTIFIED Logo is a certification mark of the Wi-Fi Alliance.